Get away from the crowds and discover the beauty of a northern New England cross-country ski vacation in Vermont. The ski lodge amenities are varied, the hospitality is warm and inviting, and the ski trails are groomed – awaiting your arrival. Vermont cross country ski areas offer spectacular vistas and outstanding hospitality. Bring the family and have a blast cross-country skiing in Vermont! Vermont offers some of the best cross-country skiing in the country, and many of Vermont’s major ski resorts offer both downhill and telemark ski trails and equipment rentals. The Woodstock Inn Cross Country Center in Woodstock, and Smugglers’ Notch Resort in Jeffersonville have excellent cross-country trails and rentals. Blueberry Hill is famous for cross country ski fun. The Inn at Grafton and Grafton Trails provide miles of ski trails at their Outdoor Adventure Center. Vermont’s natural snowfall is most abundant from November until March. 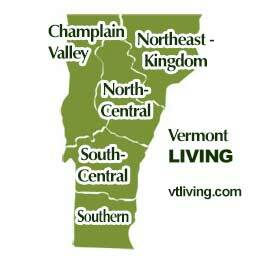 Ask us about Vermont cross-country ski vacations, share XC comments or to feature your VT business, contact us. Located at the foot of the Green Mountains and with thousands of acres of wilderness and great hiking and cross country ski trails just minutes from the inn, the Waybury Inn is an ideal location to base your Vermont cross-country skiing vacation. The Waybury Inn has offered comfortable lodging, unpretentious fine dining for decades.